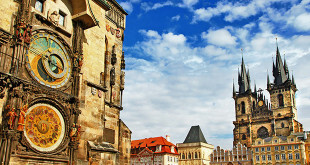 Thanks to his personal love of Prague, and the fact he premièred many of his most famous operas here, Wolfgang Amadeus Mozart is national Czech obsession… so you can’t leave the capital without hearing his music. You’ll find regular performances of his operas at the Estates Theatre (where Don Giovanni was first shown in 1787), summer recitals of his classical music at St. Nicholas Church in Malá Strana, and the occasional strings-attached operatic puppet performance at the National Marionette Theatre. Tickets vary from 250czk to 1,000czk, depending on where you choose to go. 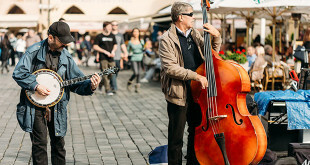 If you’re going to be in Prague at the right time, you simply have to check out the Prague Spring International Music Festival. Running since 1946, it is the most noteworthy event on the Czech cultural calendar, featuring three weeks of A-list performances. It always kicks off with a tribute to the Czech composer Bedřich Smetana on 12th May (the anniversary of his death), before a host of renowned musicians from around the world entertain the masses with classical concerts in some of the city’s finest venues – including the Estates Theatre and St. Nicholas Church. While the demand for tickets is notoriously high, events are often quite affordable and, on occasion, available on the day. In 2008, Prague’s Allegro restaurant sparked something of a food revolution when it earned Eastern Europe’s first Michelin Star for its fine Italian fare. However, it’s fair to say that the country’s most enjoyable culinary experiences are still distinctly Czech. Classic sick to-your-ribs local dishes include the artery-clogging vepřo-knedlo-zelo (a fatty cut of roast pork served with dumplings and cabbage), bramboráčky (greasy but delicious potato pancakes) and smažený sýr (deep-fried Edam cheese). Just accept that ‘low fat’ has no currency in the Czech Republic, and chalk it up to a cultural experience. The Czech Republic (and, more accurately, the historic region of Bohemia) is synonymous with fine-cut crystal, and purists contend that the very best is created by Moser, a glass-maker which has been operating in Karlovy Vary since 1857. Moser also has two Prague locations – the flagship store at Na Příkopě 12 (itself a work of art) and a second shop on Old Town Square. But if you’re after something a little more contemporary, Artel in Staré Město is a great choice, combining function with modern art forms to create some of the most original glassware you’re likely to see. But wherever you shop – and there are plenty of options – always ensure your pieces bear an official ‘Bohemia Crystal’ sticker. 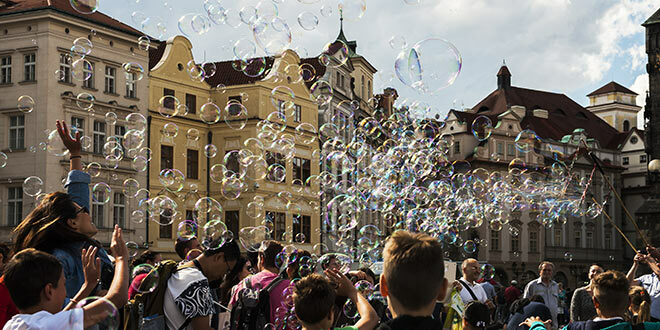 In case you didn’t know already, the world-renowned poet, author and existentialist poster boy Franz Kafka lived out his life in Prague… and you can retrace his footsteps with a comprehensive tour. 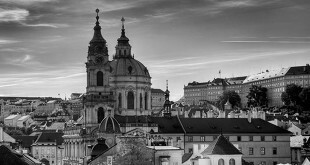 It takes it his former homes (including those on the Old Town Square and below Prague Castle), as well as a very surreal bronze statue in his beloved Jewish Quarter and the Kafka museum in Malá Strana. If you’re not a literature lover, don’t worry – there are plenty of other tours to choose from too. 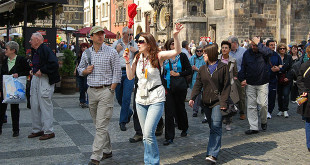 As well as tours focusing on specific parts of the city (like the Jewish Quarter and Malá Strana), you’ll also find everything from spooky ghost tours to organised pub crawls to excellent folk music nights. Prague’s Kafka Museum. A museum for Kafka, the city’s most famous literary son, is a must-see attraction. Beware of Prague’s embrace! It was Franz Kafka who warned of Prague that “this little mother has claws”, and once in her grasp you may find it difficult to leave. And those who leave will certainly come back next year! If you’d like to get another perspective of the city, why not head onto Prague’s famous Vltava River? There are several tour companies offering cruises up and down the river (from one-hour excursions to long lunchtime trips to dinner and jazz cruises), so you can always find something that fits in with your schedule. There are also a few quirkier water-based options – such as the Prague-Venice Cruise, which includes a trip on a 19th century gondola – if that’s more your cup of tea. Alternatively, you can take matters into your own hands by hiring a row-boat and heading out on the river at your leisure – you’ll find rental companies along the waterfront which offer boats at very affordable prices. But if you’re in a big group, and an hour’s rental isn’t enough, why not hire a ‘Party Grill Boat’: a small vessel (with an engine) that boasts six seats, a table, a barbecue and a beer cooler. The Czech Republic is world-renowned for its Christmas markets, which are put up at the beginning of December and stick around until New Year’s Eve, and you’ll find examples all over the city during this time. However, the best of the bunch is the one in Old Town Square. Officially opened by St. Nicholas on December 5th, when he separates the naughty children from the nice, it’s best on the evening of December 24th, when thousands of revellers pack the square for a candlelit midnight mass. But prior to this, it’s the perfect place to pick up local handicrafts, sweet treats and warming cups of mulled wine – and even still-wriggling carps if you want to join the Czechs for a very traditional Xmas feast. Not a beer fan? No problem… try some foul-tasting water instead. The spa town of Karlovy Vary is home to some very famous hot springs (accidentally discovered by none-other than Emperor Charles IV), and since the 1300s these have been used as much for sipping as for soaking. You’ll see ornate porcelain cups being sold around town (a cheap souvenir), and you can fill them at the many thermal fountains for a truly unforgettable experience. Unforgettable because the sulphuric taste is terrible. There are plenty of cracking castles close to the capital, including the very nearby Karlstejn (which is definitely worth a visit)… but the Czech Republic’s finest fortifications are to be found a little further away in South Bohemia. That’s because the area borders both Germany and the former Austro-Hungarian Empire, so it was a strategically-important position that needed to be defended. And most castle-connoisseurs agree that the finest South Bohemian fortification is Krumlov Castle. Second in size only to Prague Castle, this place comes complete with a tower, a dungeon and a moat, and sits high above the medieval fairytale town of Český Krumlov – just a few hour’s journey from the capital.